It wasn't until the release of Mac OS X v10.4, "Tiger", that I decided to finally upgrade and leave v10.1 behind. I felt that it was time for me to take advantage of the new things that Mac OS X had to offer. So I bought a licensed DVD copy of "Tiger" and installed it myself. It was remarkably easy to do so, thanks to all the clear instructions. I did an Erase and Install, which meant that my hard drive would be wiped of all its contents before "Tiger" would be installed. I was extremely pleased with "Tiger". It literally felt like I had a new computer. The new release boasts of 200 new features from the previous version so you could just imagine how different it was from v10.1. I was so excited! I felt like I was getting to know my computer again and couldn't wait to discover what it had in store for me. A widget is a small application that performs a particular task or function. For instance, there is a widget that allows you to see what time it is in different parts of the world - the World Clock Widget. 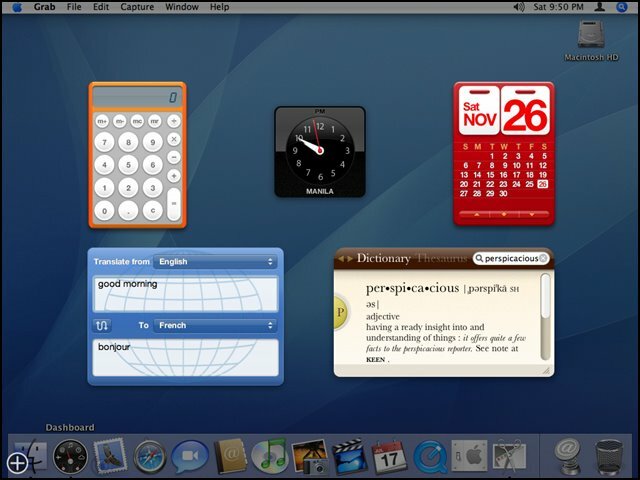 There is also a widget that will help you translate words from one language to another - the Translation Widget. There are hundreds, if not thousands, of Widgets out there that are available for "Tiger" users. Business Widgets, Music Widgets, Information Widgets and so much more! I even found a widget that will help you calculate how many gallons of gas your car uses. All of these Widgets that you choose to install onto your computer are neatly tucked in the Dashboard. Simply click on your Dashboard icon and your widgets come zooming in onto your desktop. Go to http://www.apple.com/downloads/dashboard to see a list of widgets available for download. Most of them are free! Let's say you wanted to scale a particular image down to half of its original size and then rename it with a different filename. You simply open the image file with a basic photo editor, use the available tools to resize the image, click on Save and then rename the file. Doesn't sound too difficult, does it? Now what if you had 50 images that needed to be scaled down and renamed? You can repeat the steps 49 more times, where you thereby take an enormous amount of time and end up with an awfully painful wrist, or you can turn to Automator for assistance. 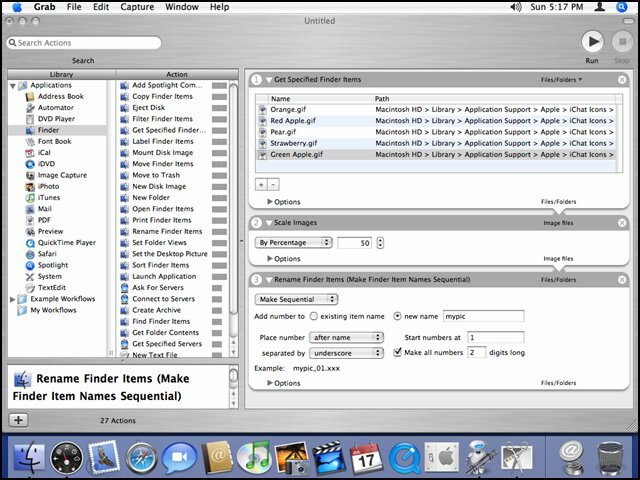 Automator is a program that allows you to create workflows. An automator workflow is a particular task or a combination of tasks that you can perform using your mac. In this particular example, the workflow will be: scale image > rename file. Automator will allow you to apply this workflow to two or more files all in just a few clicks of the mouse. If I had 50 images that I wanted to resize and rename, I simply select all those images, open them in Automator, create a "scale images > rename files" workflow, and click on Run. Then Automator does all the work. It's that easy. There are hundreds of different workflows you can create to make tedious and repetitive tasks so much easier. Why send a smiley when I can flash my pearly whites on cam instead? iChat with video conferencing (iChat AV 2) was introduced with the release of "Panther". This new version that comes with "Tiger" boasts of improved video quality. It introduces the H.264 codec, which allows video to be compressed at low data rates, while maintaining great video conferencing quality. Other instant messaging programs offer web cam capabilities that broadcast choppy and extremely pixilated videos. When you look at your video window, you can't help but feel like you're taking pictures in an instant ID photo booth from hell. 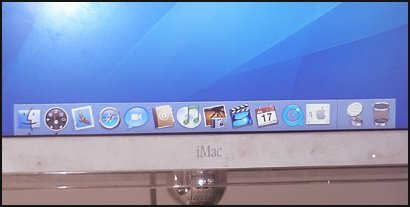 The iChat AV 3, on the other hand, offers video quality that is far more superior. When I wave hello to my friend who is all the way in New Jersey, I actually look like I'm waving... and not dancing the "Robot". New features also include multi-person audio conferencing (up to 10 users at a time) and 4-way video conferencing capabilities. I can chat with friends from all over the world and feel as if we're all just in the same room. In my opinion, these three new features alone make upgrading to "Tiger" well worth it. The Mac OS X has made me realize how much value a great operating system adds to a computing machine. I certainly can't wait to see what Apple comes up with next. For those of you on your respective quests to find that right Mac, I have provided a list of sites and resources on the web which might aid you in this propitious and promising endeavor (see below). Current Mac owners and enthusiasts may also find these links very helpful. Apple.com boasts of a simple yet pleasant design and contains a wealth of information about their products and so much more. You can visit the Apple store, check out the hardware specs, join the discussions or go to the QuickTime section and watch movie trailers. It's easy to get lost with all the information the site provides, but the user-friendly navigation bar located at the top of each page should help you find your way. Here's a site for those of you who are interested in reading about a very detailed history of the Apple company, its founders and products. This is a website that has a large and comprehensive amount of content devoted to the Macintosh. It has galleries, a listing of Mac products information and hardware specifications, forums, resource links, etc... Some sections are for members only, but registration is free. MacInTouch.com has been around since 1994. It's a great place to find in-depth information about Apple computer systems and products. Apple has certainly elevated user-friendliness to a whole new level. This ease of use is apparent, the moment you take it out of the box. 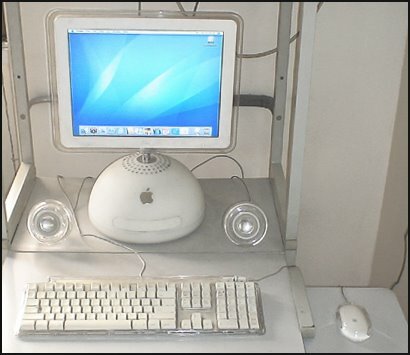 My iMac G4 desktop, for instance, was remarkably easy to set up. I had picked up my unit at the distributor's shop, with all the needed software properly installed. And when I got home, I simply had to connect the speakers, the keyboard and the mouse to their proper ports, plug in the power cord, and I was done. I gently pressed the power button and could have sworn that I actually heard a musical "aaahhh"-like sound emanate from somewhere. Turns out, it was actually the default startup sound that melodied everytime you switched the computer on. So thus began my foray into the world of Apple. I use my Mac for pretty much all my computer work. I use it to surf the web, design my own web pages, create flash animation, design graphic artwork and edit videos. I relish in the stability that the Mac OS X has to offer. No blue screen of death and there are very few error messages that sound as if they were written in some foreign language. Of course there have been occasions when I've had to "command+option+escape" (the Mac equivalent of ctrl+alt+del) a program, let's face it - no computer is perfect. But overall, the Mac gives me a very pleaseant computing experience. Aside from the previously mentioned tasks I perform with my Mac, I, in fact, also use it to type Microsoft Word documents and create Powerpoint presentations, which don't have any problems running on a Windows PC. In fact, many other popular programs such as Adobe Photoshop and Macromedia Flash have versions for the Mac. And the files created with these software will run on their Windows counterparts too. This kind of cross-platform compatibility is very beneficial for students and professionals who own Macs, as Windows PCs dominate the schools and work places in the Philippines (unless of course your work involves programming software for Microsoft). You can work on a Powerpoint presentation on your Windows workstation at the office, and then continue it at home whenever the need arises. You can surf the web or ask the local software dealers to see which software companies offer programs that have versions for both the Mac and Windows. One interesting fact, I might add, is that Microsoft actually has a special unit dedicated to creating versions of their own software (such as MS Office and Windows Media Player) for the Mac platform. Everyone is encouraged to share their own thoughts and opinions to help promote an interactive and lively environment here at PinoyMacLovers. There are, however, some guidelines to follow that are designed to help keep the posting environment healthy, safe and pleasant, which you will see outlined in this document. To post a comment, simply go to the comments page by clicking on the comments link that can be found at the bottom of each blog entry. You will see this link right beside the date and/or time of post. It is denoted by a number followed by the word "comments" (e.g. 2 comments). *Note: Even non-blogger.com members can post their comments. Simply choose "other" as your identity and follow the posting instructions. 1. Posts must be courteous and polite. Comments containing profanity, sexual, racist and demeaning remarks will be rejected or deleted. 2. Posts differing from the blog author's and other readers' opinions are NOT forbidden, a healthy and fruitful discussion of different views is in fact encouraged, as long as the participants adhere to the first rule. 3. Keep posts within the subject matter of each specific blog entry. 4. The blog moderator reserves the right to reject or delete all comments deemed to be in violation of the rules. Please follow the rules in order to maintain a pleasant posting environment. Happy posting! PinoyMacLovers is a great source for news, reviews, how-to & feature articles about all things related to Apple and their products. Here, you'll find great tips that will help you get the most out of your Mac; whether you're a long-time user or a recent switcher. 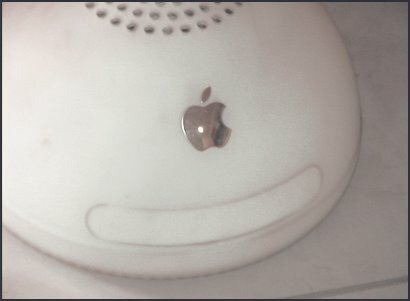 I became the proud owner of my very first Macintosh computer sometime in the middle of 2002. Apple had just recently unveiled, what was then, the new iMac with its breakthrough G4 processor and an amazingly breathtaking design. It has a swiveling flat screen panel attached to a majestic dome base. It was love at first sight. I don't know if it was the pristine white exterior, but everytime I looked at it, it just emmanated such radiance. And the inner workings of its anatomy were impressive as well. It was fast and efficient. The user interface was so friendly, it was as if we'd known each other our whole lives. I was clicking my way around it with such ease. And now, in the year two thousand and five, thanks to the amazing iPod line and all the staunch Mac advocates such as myself, Apple has continued its exponential success. I now have friends with Macs and even more friends who ask me where to find a reliable Apple distributor. Suddenly, the world seems brighter. So, to all you Mac lovers out there, let us keep on fighting the good fight. Let us share with others the deep sense of joy that comes with owning an Apple computer. It is our responsibility. And through it, we shall make this digital world a better place, one apple at a time.